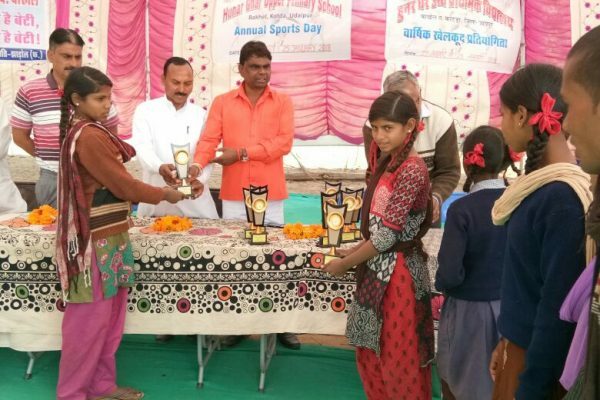 Sports day was held at Hunar Ghar school from January 23 to 25 January 2018. 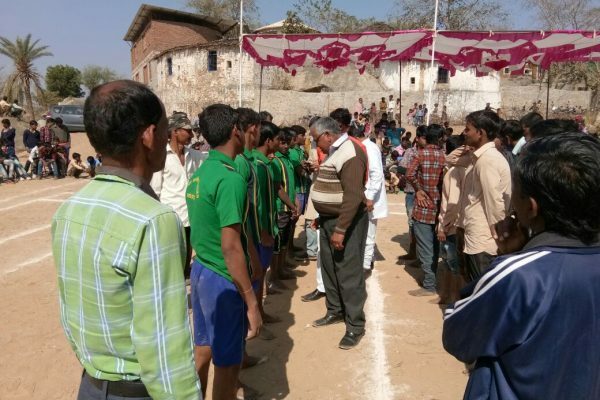 A total of 8 schools including Hunar Ghar took part in the Sports competitions held over 3 days. 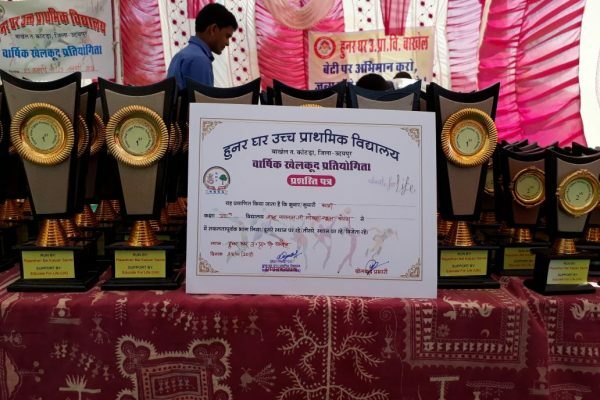 The participating schools were from villages of Zed, Mandva, Bakhel, Kotda, Jhanjhar, Anjani and Degari . The first day commenced with inauguration by shri Devi lal ji the Sarpanch of the Bakhel Panchyat and secretary of sports for the school. Each school had sent four teams for each sport – Boys & Girls team for Primary section and Boys & Girls team for Upper Primary section. 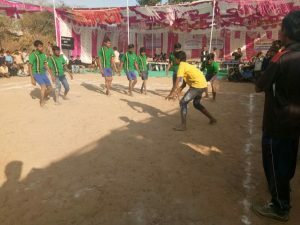 A total 205 students participated in various Sports competition. 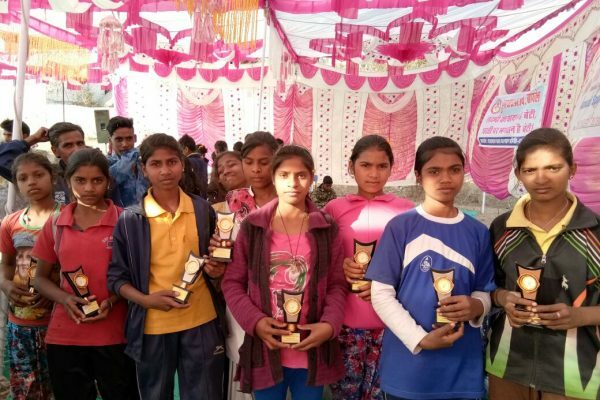 37 girls and 51 boys participated from Hunar Ghar in various sports competition. 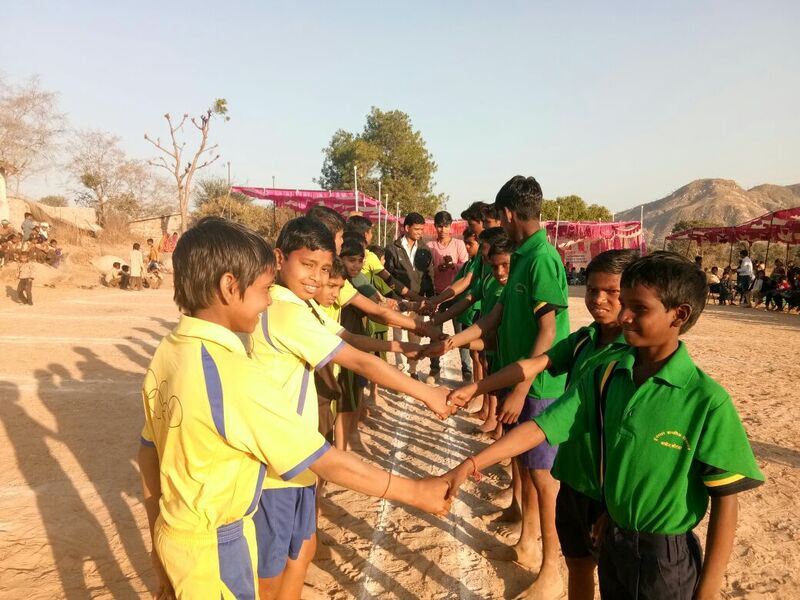 Team games like Kabaddi and Kho-Kho which are enjoyed locally saw wide-ranging cheering from community members, teachers from all schools and local administration. The crowd size was over 1200. The community cheered for the children and enjoyed their time together. The event plays an important part in building a fruitful relationship with the community. Sports competition were concluded on January 25th and the winners were awarded trophies and certificates. 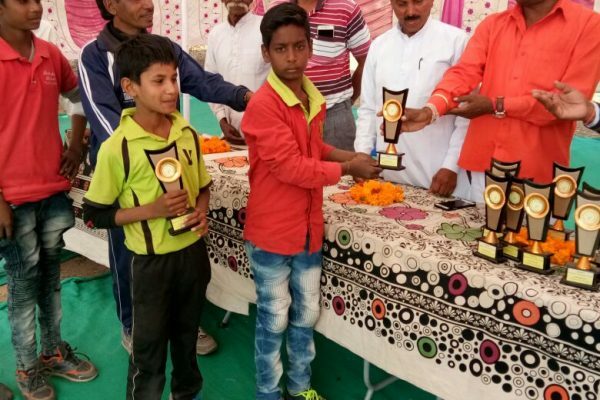 The teams winning in various competitions were awarded by the Block Education Officer, Kotda. More picture below..